1.6 oz. Butter Rich Gourmet Cookies – 135 Count Trans Fat Free! Cookies are packed 135 per case; net weight 13.5 lbs. ; 23.25”x13.5”x5.25”; tier 6/9; .95 cube. *Coconut Macaroons are packed 270 per case; net weight 27 lbs. ; 23.25”x13.5”x5.25”; tier 6/7; .95 cube. 1.5 oz. All Natural 100% Whole Wheat Cookies – 216 Count Trans Fat Free! case; net weight 10.5 lbs. ; 23.25”x11.5”x4.5”; tier 6/14; .70 cube. Cookies are packed 162 per case; net weight 20.5 lbs. ; 23.25”x13.5”x5.25”; tier 6/9; .95 cube. 3.25 oz. Jumbo Cookies – 126 Count Trans Fat Free! 4 oz. 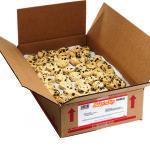 Jumbo Cookies – 126 Count Trans Fat Free! 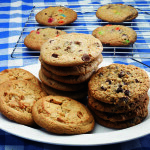 Jumbo cookies are packed 126 per case; net weight 25.59 or 31.5 lbs. ; 22.875”x16.25”x5”; tier 5/11; 1.08 cube. .5 oz. Mini Cookies – 728 Count Trans Fat Free! 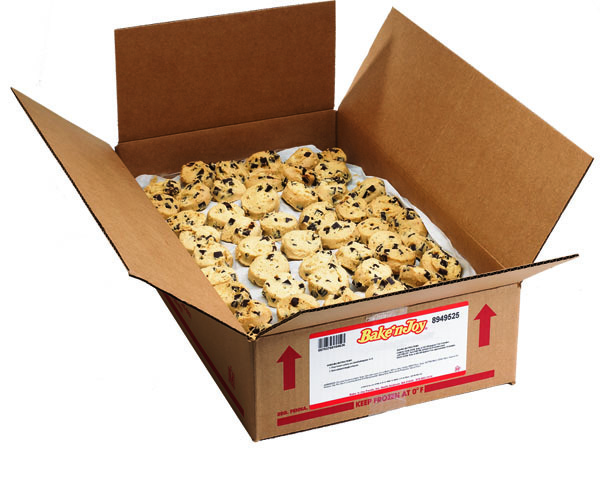 Cookies are packed 728 per case; net weight 22.75 lbs. ; 23.25”x11.75”x5.5”; tier 6/9; .87 cube. 13.8 lbs. ; 16”x11”x 3”; tier 8/13; .31 cube. Trans Fat Free. Elephant Ears are packed 36 per case; net weight 11.25 lbs. ; 11”x16.5”x3”; tier 8/15; .31 cube. 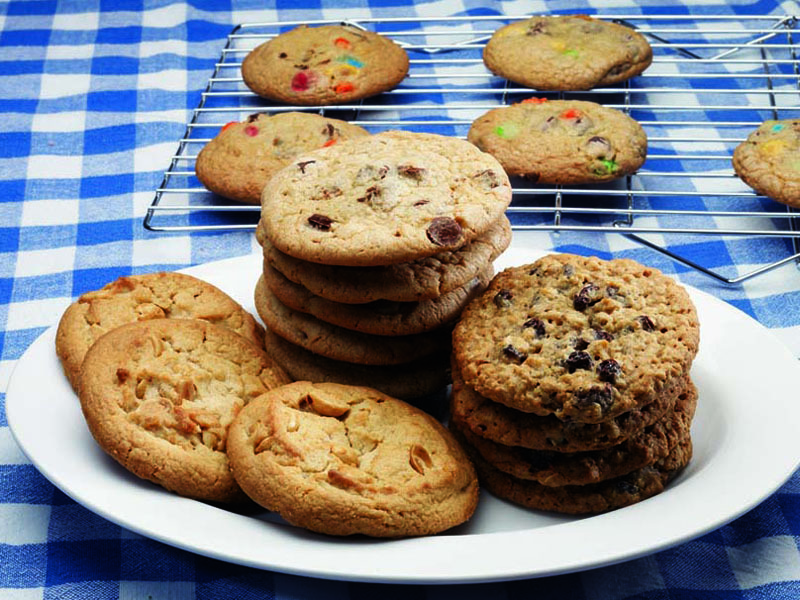 All varieties of cookies are Trans Fat Free! any time; bake just what you need to avoid waste. Jumbo Cookies made with real butter. eye appeal and consistent results and performance. scooping; nothing to clean up!